they are stars in the sky . And think if you want to think of me. 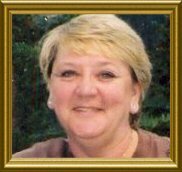 GlesgaPal Cath Caley in London sadly died on Jan.25th 2005 after a long fight with cancer. Cath had many pals on 'GlesgaPals' and many cards and telephone calls took place...Wilma in Canada summed it up "I know we mostly know one anither oan the Webmaister's website but although most of us have not seen one anither it seems to me we still have the closeness you hiv wae a personal friendship. It is hard to believe that so much warmth can be transmitted through the web." ".....Thanks for all your lovely messages about my mum. Jane, Graham, Dad (Terry), and Myself are very proud of mum and the affect that she had on peoples lives. She was an amazing mum and a lovely person in general with a huge heart. In my eyes she was and still is the best. If mum wanted to say anything to us & all of you & all her other friends she would have said this poem"
With all the messages and cards she got, it gave her the strength to carry on for as long as she did, she was and we are very grateful for all your messages of support. Friends who stood by me Even when the time raced me by. 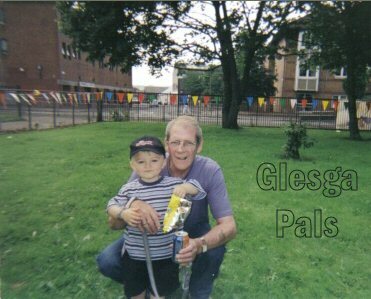 Oor GlesgaPal 'Lucky' ( William Devine ) frae Dalmarnock lost his gallant fight with ill health today 25 Aug 2006, his family were overwhelmed by the kindness shown from the GlesgaPals who knew and loved him. He joined GlesgaPals in August 2005 and in that short time on our messageboard he and his wife Mags enjoyed the company and many friendships were made. My name is Bill Devine I was born on the 14th June 1937 in 22 Battleburn Street Tollcross moved to 11 Potter Street Auchenshuggle 1940 stayed there till I went into the army 1955 when I came out in 58 my maw had moved to Belvedere 1405 London Road. I have lived in Drumchapel, Clydebank, Invergorden, Alness, worked in Saudie Arabia for some time, now retired and live in Dalmarnock. 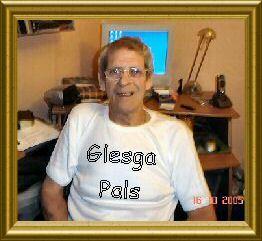 A proud GlesgaPal ......... See his army photo on Glesga Pals. ah wis sent this site fae an auld school mate of mine an he lives in USA ah stay in dalmarnock, glesga an never new anythin aboot it. am ah no glad ah joined it's fandabydosie, pure dead brilliant thanx Webmaister. August 25th 2006 ...... Lucky's daughter Mary..... just to let you all know that Lucky passed away peacefully tonight at 19:05 hrs. Big Mags and close family were with him. Thanks for all your cards and wishes. Once again Thank you. 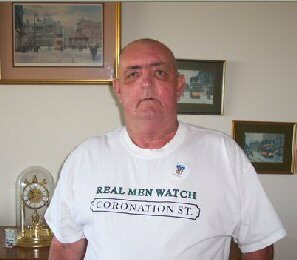 My Grandad used to be a brave soldier. He liked to talk, sing and use his computer. He is the best Grandad in the universe. think these innocent words sum my Dad up well. To all of Lucky,s GlesgaPals.......Just to let you all know that Lucky's funeral is on:Thursday 31st August, a short service will be held at 14:20 in Taylor Brothers Funeral Parlour in London Road, then onto Daldowie Crematorium at 3pm where another service will be held. I know many of you are spread out over the world but anyone who can or wishes to come is more than welcome. We are then going on to The Dalmarnock centre in Lily Street for tea. Pals it is with deep regret I announce the death of GlesgaPal Normanconk. He passed away 21st March 2007 after a long fight with cancer. He had been very ill these past months but did not want anyone to know. I had the pleasure of sharing a few beers with him last year when he visited Glesga. my type of guy! He likes a laugh. frae the Adams Family .. eh? PATTISON, John Dickson Peacefully at the Northumberland Hills Hospital, Cobourg on March 21, 2007. John at the age of 64 was the beloved husband of Jane Pattison. Loving father of Sharon (Mike) and Scott (Kelly). Dear grandfather of Lindsey (Cory), Michelle (Matt) and Natalie (Mike) and great grandfather of Cody. Dearest brother of Margaret, Josephine, Francis, Marie, Thomas and the late Jim. John will be deeply missed by all his family and many friends.
" I was born 18 Jan 1939 at 136 Blackburn Street. Nae hoaspital for ma mammy. When I was 3 we moved to Langholm Street in Yoker. When I was 5 ma mammy died of consumption. I had ma first wean (of six) in 1957 got merried and lived in Whiteinch.Didnae work oot, goat divorced ad goat merried again.Went to Toonheid frae1962 -1970. Parly Road wis magic.Toonheid wis a wee room and kitchen and sterrheid toilet.Went tae Drumchapel -bath and inside toilet-luxury but couldnae staun the place there wis nothing there. Stuck it for a year then went tae Springburn. Moved tae Manchester 1984.Went tae Yoker primary and secondary school. First job UCBS Clydebank-( uncles cakes and burnt biscuits). Also worked in Woolies and Singers in Clydebank. Variousc jobs including barmaid and railway cleaner at Springburn lived in Hawthorn Street"
Hello, I was born at Stobhill Hospital Aug 6.1949 and went to Newlands and Riverside. We lived at 18 Edmiston Street, Parkhead. Left with my parents in 1966 to go to Vancouver, Canada. I now live in a very small town on the beach a few miles away from Vancouver. I used to love Newbank swings and also tennis at Tollcross Park... gave myself sunstroke one hot summer afternoon there. Oh boy! I was really SICK. My Parents were : John MacWilliam, born 1926 Swanson Street - he went to John Street Primary and Riverside Secondary along with his brother Jim MacWilliam and sister Jean MacWilliam. My Mother: Margaret MacWilliam (nee McGuigan) she was brought up along with her 4 sisters by her Grannie (Mary Jane McGuigan) in Nuneaton Street, Bridgeton. and she now lives in Kirkintilloch, aged a young 81. Thanks to the GlescaPals website I have been able to contact 7 or 8 former classmates. Thanks Webmaister! 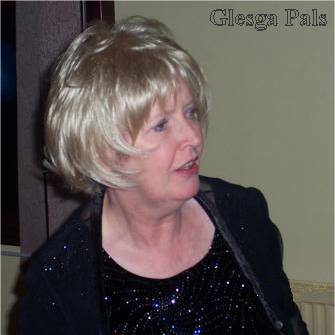 GlescaPal Mags:- I received an airmail letter today from my aunt in Canada who informed me that my pal Liz (Scotbandit a Glesga pal) also known as Liz, June Macwilliam married name was Mellis has died. I am in shock as I have spoken to Liz for a few years and we had family connections we used to speak a lot on Skype. I will miss her dearly. Liz was only 59 and died on April 13th there is a family gathering this Saturday 9th May to celebrate her life there will and open house in Sechelt Canada from 12 noon to 4pm with a eulogy and address starting at 1-30 pm this is for her friends and family who can make it. RIP Liz, I will miss you so much. GlescaPal Brian :- I appreciate that Mags knew her well and she will be very upset. As you know, I also got to know her well, but only through e-mails, Blogs and phone calls, I had never met her in person. But I felt that I knew her really well. I don't know if all the other pals know that I shared a Blog with her (we were both editors) about the primary school that we both went to "Newlands" at Parkhead. There were others involved in the Blog but essentially it was Liz and myself that did most of the admin in the end. I will miss her sorely and I am not sure if the Blog will survive without her. The Blog concerned is the one that shows up as a link below my school photos. I will of course contact the others concerned with the Blog and then post info of her sad passing on the Blog. Goodbye Liz, we will truly miss you.